Hey, I am Joseph. A guy from small country in Europe called Lithuania. I love rock climbing, hiking, mountains and outdoors in general. Travelling is also high on my hobbies list. I have visited 77 countries and still do it actively. I was interested in writing blogs and creating websites since I was a small boy. I do it for the last 10 years as my main work. 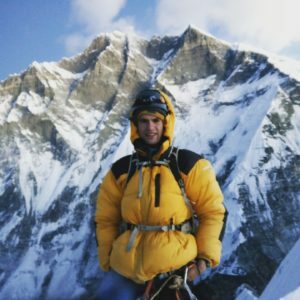 I try to combine climbing, travelling and writing blogs and to make living from it. https://climbingchalkbag.com is one of my blogs. I will focus on overviewing and reviewing original and high quality climbing chalk bags in the market. I will also provide links for you where you can get these interesting chalk bags. If you are interested more into what I am doing you can check out my travel blog – https://nomadjoseph.com.